What is Mercedes-Benz Magic Sky Control? Home » Mercedes-Benz SL-Class » What is Mercedes-Benz Magic Sky Control? The constant innovation of Mercedes-Benz has been apparent over the course of the past year with a number of all-new vehicles, including the recent debuts of the Mercedes-Benz GLE Coupe and C450 AMG Sport. New model releases get headlines, but the technology and innovation within the Mercedes-Benz fleet are a big part of what makes those vehicles so great. One of those features is Magic Sky Control, which is available on Mercedes-Benz SL-Class and SLK-Class configurations. So what is Mercedes-Benz Sky Control? Simply put, it’s a cool technology designed to give Mercedes-Benz drivers and passengers better control of the temperature and brightness within the cabin by altering the amount of sunlight that passes through the glass. Panorama sunroofs are large, transparent glass panels that provide an open-air feel, but occasionally, the sunlight that passes through that glass makes the cabin too warm or creates harsh light in the eyes of passengers. That’s where Magic Sky Control comes into play. With the push of a button, the Panorama Sunroof can transform from “Open Sky” to “Shade,” and vice-versa, in a matter of seconds. How Does Magic Sky Control Work? Of course, Magic Sky Control is not actual wizardry. 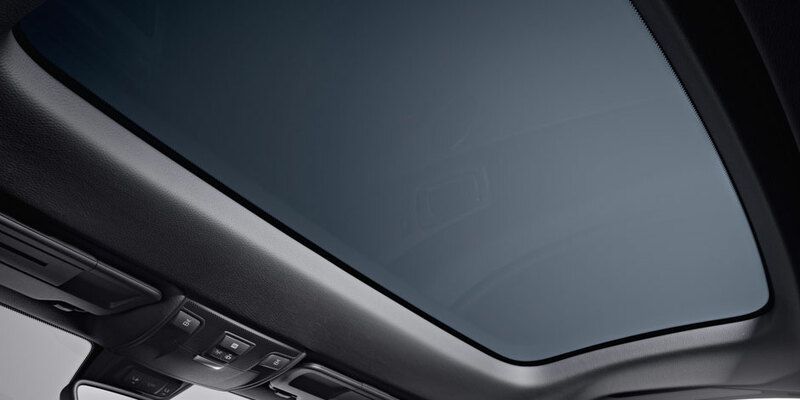 Mercedes-Benz Panorama sunroofs equipped with Magic Sky Control have an electrical current passing through the glass structure. When that voltage passes through the panel, the particles within the glass align in a way that allows sunlight to freely pass through. Although the light is allowed to pass through, passengers remain protected from UV and infrared rays. When the electrical current is turned off (Shade mode), the particles within the sunroof are no longer aligned and will randomly arrange themselves, which blocks most of the sunlight. Darkening the the cabin with Shade Mode is a great option to cool hot surfaces and relieve the strain on the AC, among other benefits. Drive the Mercedes-Benz SLK-Clsas or SL-Class at Loeber Motors and get a closer look at the “magic” behind Magic Sky Control. Make a New Year’s Resolution for your vehicle! What are the Benefits of Having Winter Tires? This entry was posted on Tuesday, February 10th, 2015 at 4:31 pm	and is filed under Mercedes-Benz SL-Class, Mercedes-Benz SLK-Class, Tips & Tricks. You can follow any responses to this entry through the RSS 2.0 feed. You can leave a response, or trackback from your own site. of credits to continue playing at that site. How do you find inspiration to post something like this? What colors does the Porsche 911 Targa 4 come in? What is the fuel economy of the 2018 GLC 350e hybrid? Take a virtual tour of the 2018 Mercedes-Benz GLA with this in-depth video review! Mercedes-Benz offers drivers a variety of convertible models! Which Mercedes-Benz models offer hybrid options?